Brown Leather Floral Tote Handbag Discounts Apply ! NEW LOWER PRICE! 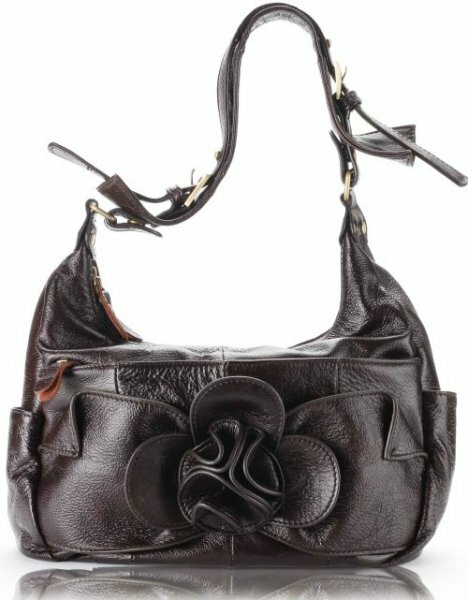 - C&T Designer Inspired Italian Leather Feminine Floral Tote Handbag - Dark Brown Leather. Our newest line of handbags, these C&T handbags are all genuine Italian leather with quality hardware and trimmings. All quality, all the time...not to mention the designer inspired, unique designs. This luxurious leather handbag is inspired by the fully feminine lady. This one has a classic handbag shape with a fanciful and whimsical rounded flower and leaf design on front. So unique! Wonderful handbag purse - sure to get noticed when you carry this bag - and surely to never go out of style! This wonderful handbag styled tote purse/handbag is handmade with quality genuine Italian smooth leather. 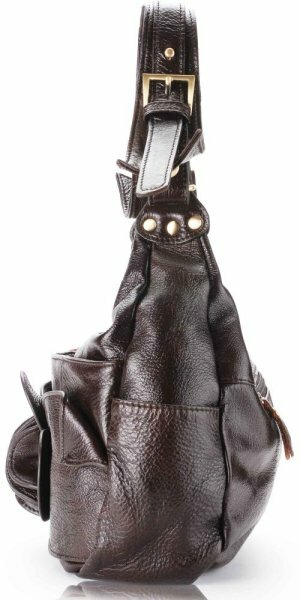 The result is a rugged yet supple leather bag with unquestionable quality and durability. Some of the features of this wonderful looking, superb quality Italian leather purse Tote, which is superbly feminine include: beautiful Italian leather, classic styling with a twist - the dimensional floral design on front, unique adjustable shoulder or hand strap, zippered and slash pocket on back exterior, fully lined, interior pockets, 2 zippered top sections, 1 zippered section on front just behind the floral design - WOW - this purse is more spacious than it appears. Comes with a detachable shoulder strap. 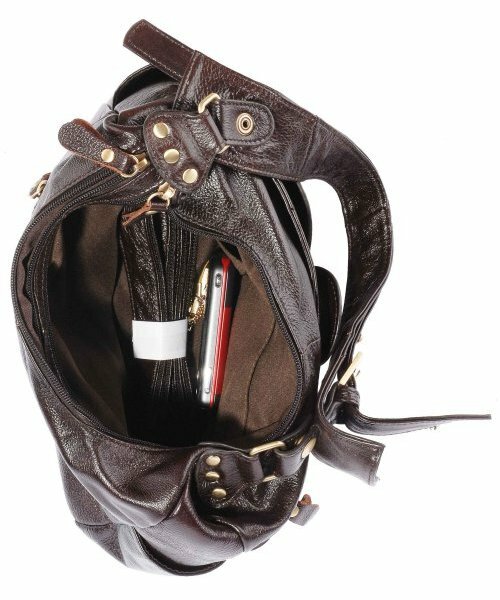 A perfectly easy to carry handbag with lots of room to be organized. Approximate size: 16" x 10.5". Handle drop: 20". This luxurious and flirty feminine handbag is available in caramel tan brown and a dark brown leather colour.